CoilART LUX Mesh Tank Atomizer 5.5ml - BLACK w cenie $22.99 | Chińskie kupony rabatowe, zniżki i okazje! CoilART LUX Mesh Tank Atomizer 5.5ml – BLACK! Teraz w promocyjnej cenie $22.99 Cena regularna to: $34.99, zaoszczędź i skorzystaj z kuponu na gearbest! 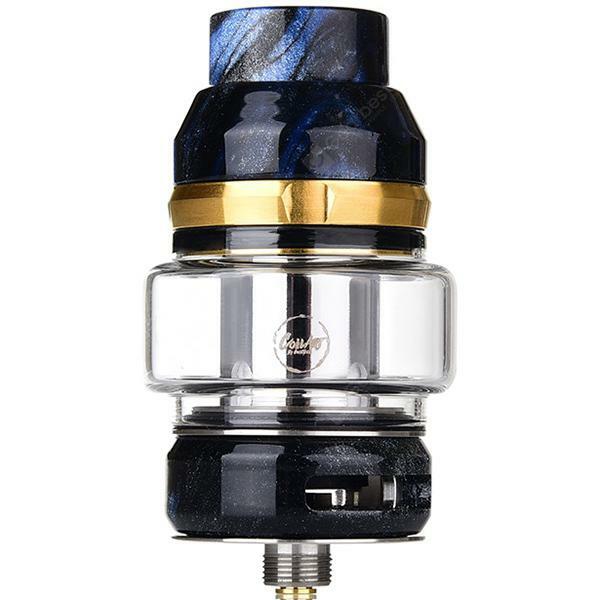 The CoilART LUX Mesh Tank is an exquisite faux-marble resin mesh tank with 5.5ml juice capacity. With the 0.15ohm mesh M1 coil (pre-installed) and extra 0.15ohm Mesh M4 Coil, the CoilART LUX Tank can produce more vapor and better Flavor. It also features the adjustable bottom airflow system and easy top refilling design for an optimal flavor and convenient operation.